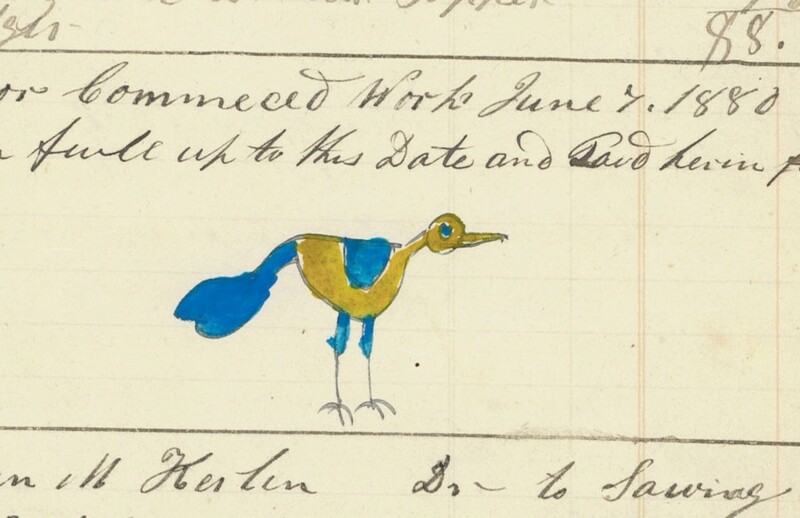 Dimensions (inches): Parchment: 11.75" x 7.5", Bird image: 2" x 1.25"
Child's watercolor drawing of a small blue and yellow bird. The drawing appears on a page from a journal, at the top of which is written "Port Royel [Royal]" and the date of "1880". Port Royal is a town in Juniata County, where there is a substantial Pennsylvania German population. Since paper was less expendable in the 19th century and little was wasted, the child was probably given this on which to draw. 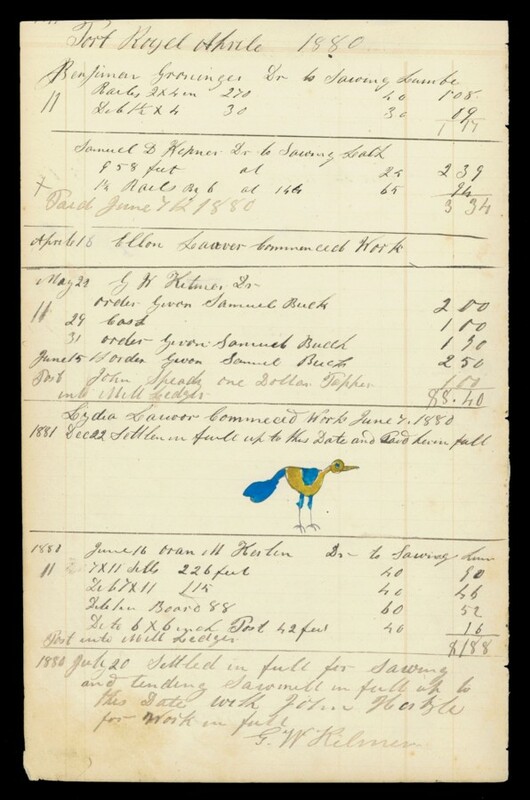 Size of Parchment: 11.75" x 7.5"
Size of Bird Image: 2" x 1.25"
Condition: Minor foxing and edge wear.